Such is the joy of discovering a ‘new’ city that stumbling across things – fountains, alleyways with exquisite balconies, bohemian bars and pop-up bookstalls – means there’s always something you’ve not seen before. Just an olive stone’s throw away from the cathedral we were drawn through the entrance of San Agustín market – a vibrant place built in the 19th century on the site of a convent. It sells fresh fish, meat, wine, spices, vegetables and gourmet food, including sushi. It’s a bit like London’s Borough market but more polished (the market was recently renovated to the tune of around €800,000). What we love about London’s offering is its Dickensian feel – all dripping walls, boxes piled high and cobbled streets as the trains rumble overhead – so San Agustín may seem a bit sterile. 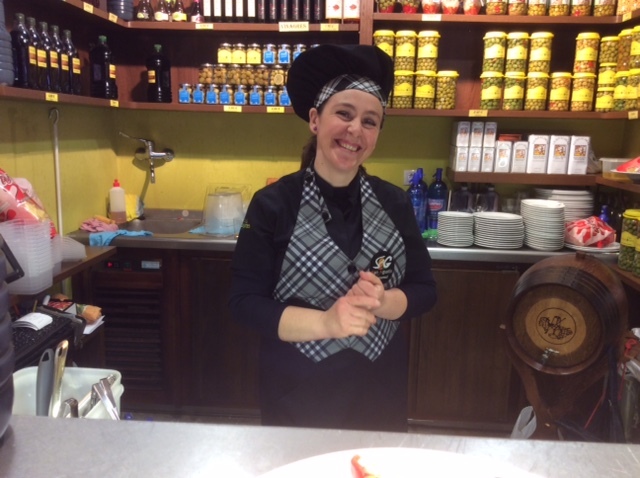 However, propping up a counter nibbling on some jamón while admiring the various food counters is not to be missed. You can flit from station to station collecting your chosen food and drink, eat it where you like and someone glides by taking your plate. You can even buy produce and have it cooked for you. 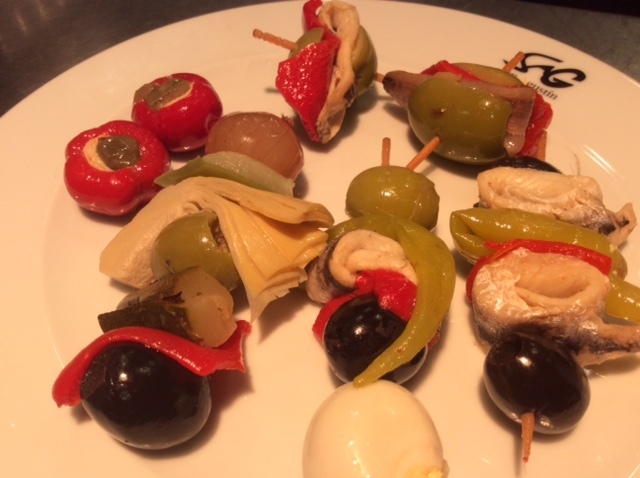 On another counter the lovely Carmen dished out plump olives skewered with anchovy, peppers and other delights. Anyone who bangs on about Italy being the centre of the world for food should come here. The market is very accessible for disabled people, including the pristine toilets sandwiched between sawn-in-two lambs and baskets of mushrooms. We believe the market still holds music recitals, dances, children’s events and other stuff as it did before its facelift– so you can listen to Scarlatti as live snails crawl from a bucket. 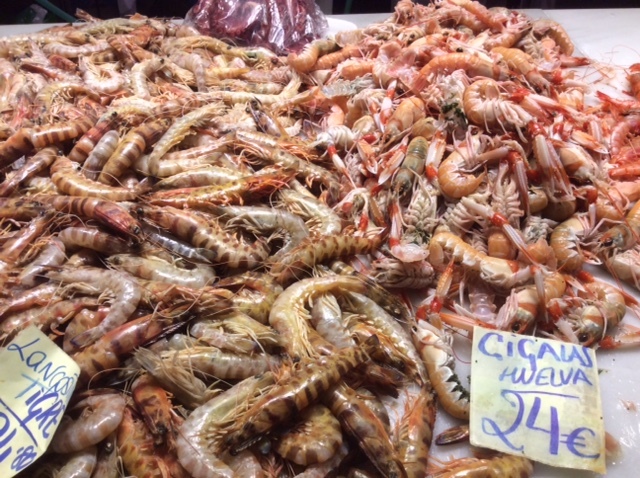 If you’re visiting Granada, this market should be on the ‘to do’ list, perhaps after visiting the famous sites nearby. 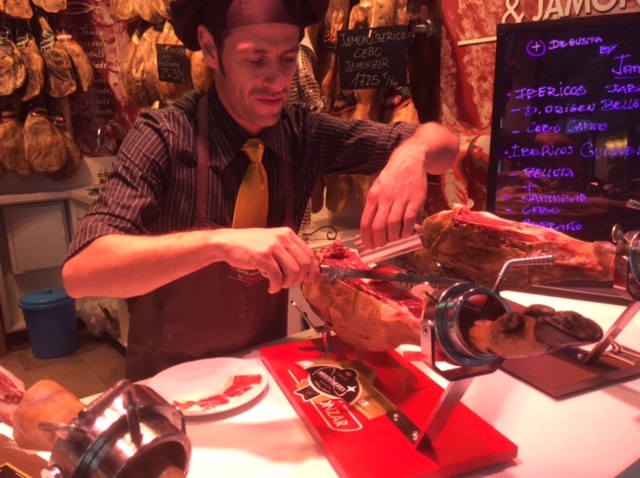 A few months ago, they inaugurated a “San Augustín Market” here in Toledo. Needless to say, it has nothing in common with the Madrid one. Except for the prices. I wonder how long it’ll last. Toledo just doesn’t have the audience for it. I mean, WHO is going to buy fruit and veg at three times the price compared to la frutería round the corner? Tourists??? I don’t think so. There’s some very nice cheese to be had, though. And apple cake. What is (are?) 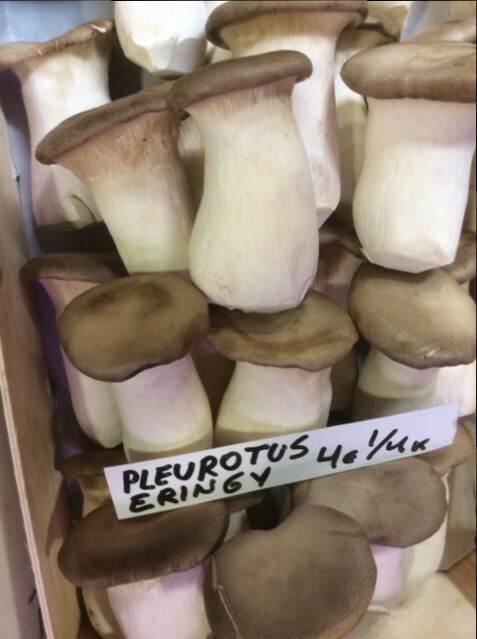 pleurotus eringy called in English? You are right–just like the chimneys!